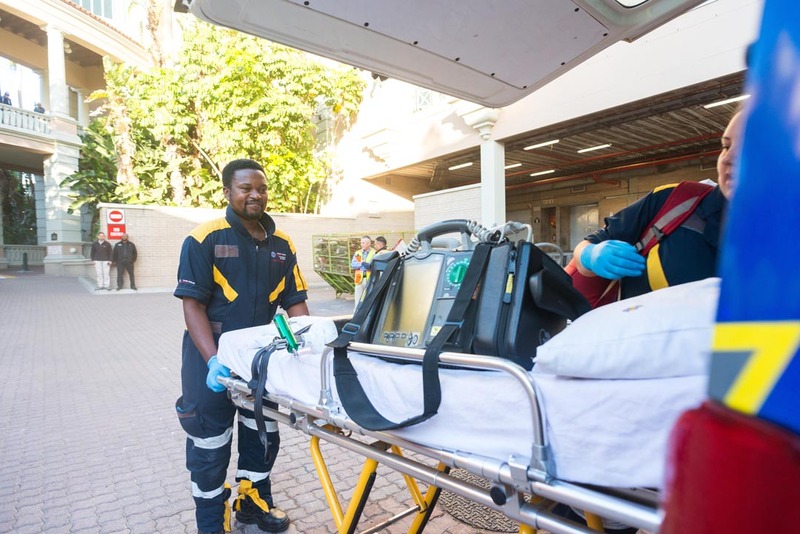 One person was fatally injured and another three sustained moderate to severe burn wounds when a fire broke out in the East Ground Floor Loading Yard of Canal Walk earlier this morning. 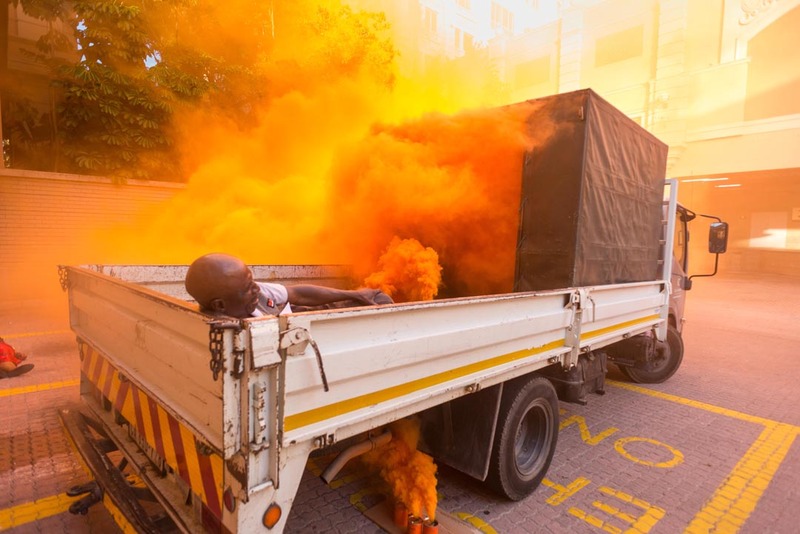 The fire broke out when two landscapers were allegedly refuelling their weed eaters while smoking, which resulted in the fuel igniting setting a nearby vehicle and its occupants alight. 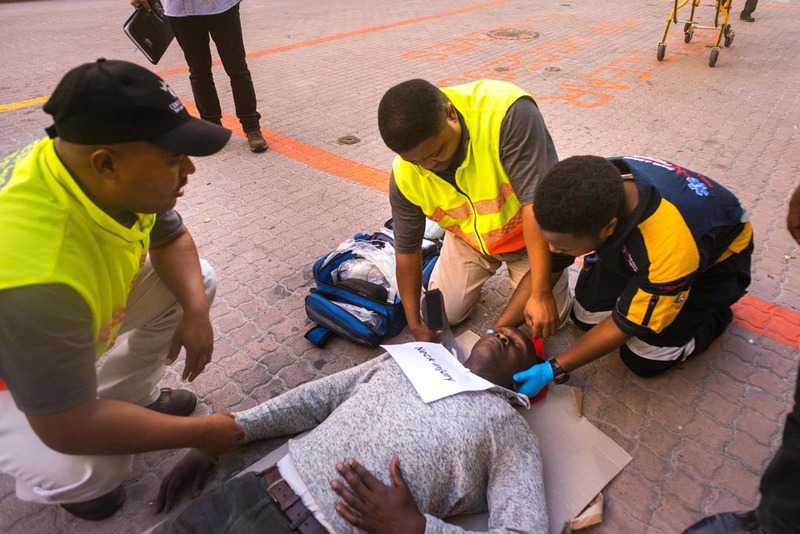 Canal Walk’s fire team were unable to extinguish the flames and alerted the Century City Property Owners’ Association (CCPOA) Security Operations Centre who immediately dispatched vehicles to the scene to provide first responder assistance. Within minutes SA Paramedics with two ambulance men arrived on the scene and took over the treatment of the injured. 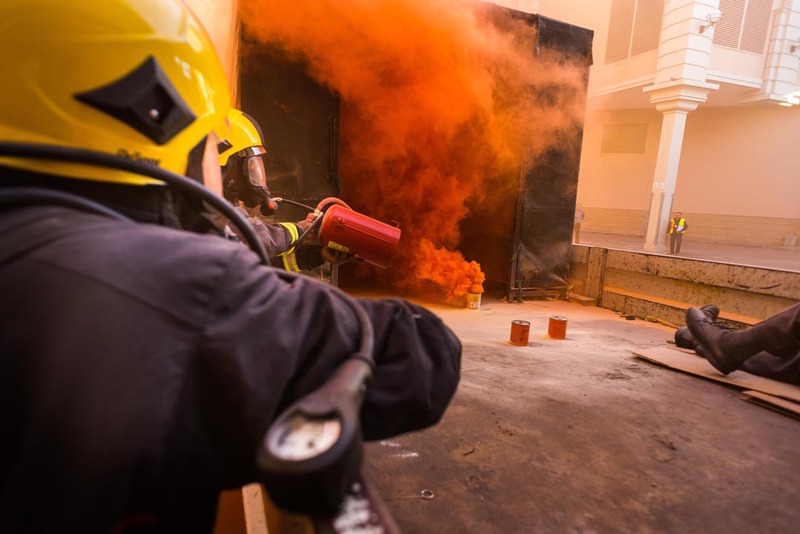 The smoke was caused by smoke grenades and there was no real fire and no real injuries. It was all part of a joint simulation exercise by Century City Security, Canal Walk, Milnerton Traffic Services, Milnerton SAPS and SA paramedics to test and evaluate the operational preparedness of all security, fire and medical response personnel and thereafter to give written feedback on assessed areas. The “injured” saved from inside the burning car were CCPOA Security Staff. 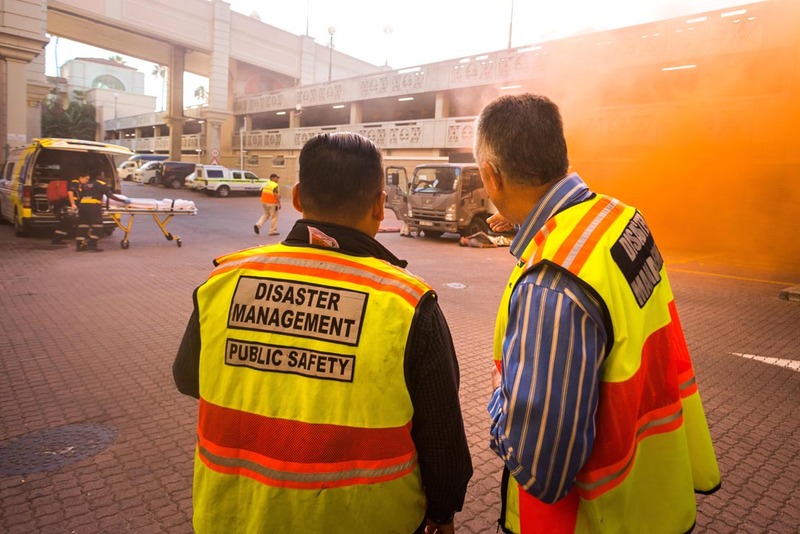 The half-hour exercise, which took place7:30 am30am on 27 March 2019, did not require any road closures thanks to Milnerton Traffic Services assisting in directing the fire and rescue services to the incident scene and managing traffic flows on Century Boulevard.